NOWSPAR launched its strategic planning process on Friday 13th September with a Visioning Workshop at which we explored our ideas and thoughts for our 2014-2017 strategic plan. ‘We are excited about this process as we have an opportunity of adapting and renewing ourselves as an organisation and to set some really amazing targets that will stretch us and impact sport and Zambia positively for girls and women.’ NOWSPAR Director Matilda Mwaba said. This planning initiative is a process that NOWSPAR owns and is facilitated by Mr. Mumbuna Mweenda a consultant provided by the Zambian Governance Foundation as part of the Organisation Capacity Development support. The process will engage various stakeholders from beneficiaries to funders, government and fellow civil society actors in and outside the sport community. The plan is critical to managing ourselves and our work as it will provide a framework for our decision making and will articulate our ambitions for the period therefore providing opportunity for stakeholders to see how they can benefit from us or cooperate with us towards mutual targets. At the front of everyone’s mind are issues of impact and sustainability, so we are committed to have clarity on these in the plan and that this will be consistent with our values. It is anticipated that the plan will be ready for launch on the last day of our 2013 program year this December; however this document will be kept dynamic with consistent monitoring and regular reflection on our progress and the strength of the decisions we make during this process. 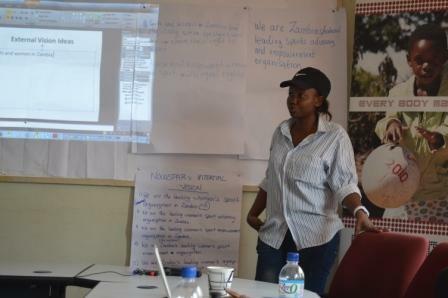 The planning process is supported by our partners Norwegian Olympic Committee, Women Win and Zambian Governance Foundation. Young Women in Judo Have Got the Power! The She’s Got Power! Awareness workshop on Human Rights and Gender Based Violence was conducted on Sunday 16th October 2011 in Lusaka, Zambia. 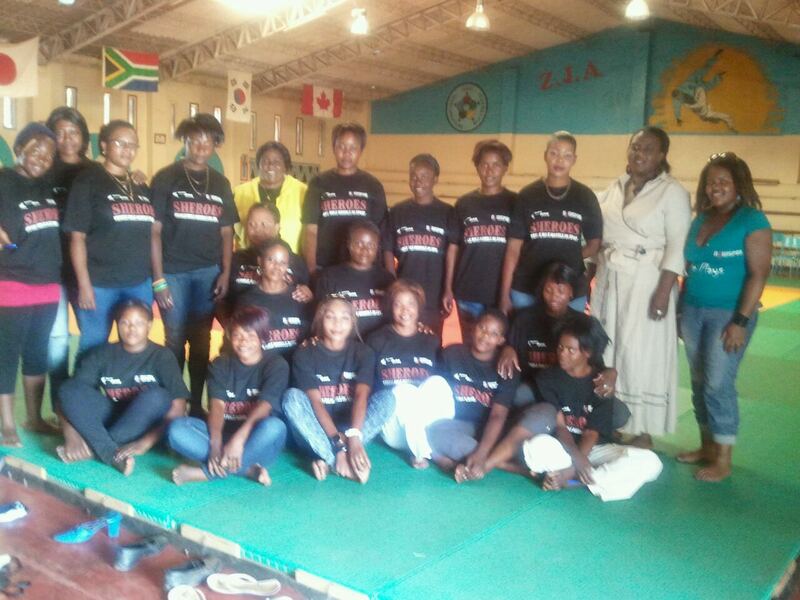 The Workshop brought together 20 young women from the Zambia Judo Association to engage with the issues of the right to sport, increasing participation and addressing harassment and abuse. The workshop participants were drawn from Lusaka based clubs including Green Buffalos, Police, Zambia National Service, Zambia Army, Ippon and Central Sports Club. The workshop was officiated by the President of the Zambia Judo Association Mr. Alfred Foloko and NOWSPAR Executive Director Ms. Matilda Mwaba. The She’s Got Power! Program is aimed at raising awareness of human rights among young women and equipping them with skills and information to address gender based violence and other gender issues. The Workshop outcomes include increased awareness among female judo athletes, commitment by the Association leadership to implement adjustments and initiatives to address harassment and abuse in sport. The workshop was facilitated by Ms. Matilda Mwaba, Ms. Lombe Mwambwa and Ms. Samantha Lukonde of NOWSPAR, issues covered included right to sport, motivation for women’s engagement in Judo, ambitions and plans, decision making, access to resources and harassment and abuse. The workshop was conducted using group discussions, personal reflection, plenary session and role play.